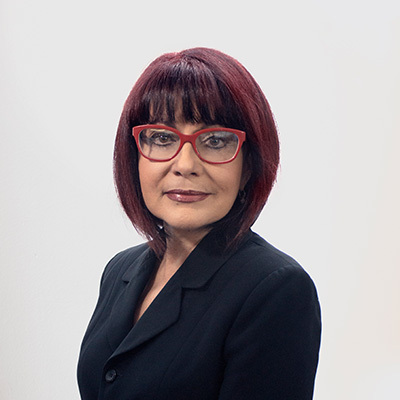 Ms. Benítez obtained her Bachelor’s Degree in Business Administration with concentration in Accounting from the University of Puerto Rico, Río Piedras Campus. Ms. Benítez served for thirty years in the Internal Revenue Area of the Puerto Rico Treasury Department. During her tenue in public service, she worked in the following areas: Specialized Investigations of the Fisical Audit Bureau and served as Director of the Audit Division. She also worked as Project Manager in charge of restructuring the Fiscal Investigation Program, including the design and implementation of a comprehensive procedure to assist in the preparation, compilation and documentation of working papers in a fiscal audit. During her last years with the Puerto Rico Treasury Department, she led the Exempt Organizations and Industrial Incentives Fiscal Audit Program and directed the Consumption Tax, Excise Tax and the Alcohol Beverages and Licenses Bureaus. During such period she worked directly in the design, preparation and implementation of an audit program and case management control system. In recent years, she has worked in the private sector assisting corporate and individual clients with different tax matters and representing them before the Puerto Rico Treasury Department.